Noteworthy certifications, awards, and achievements. For more information, contact Pat Boos, Director of Marketing, at 410-819-5335. Qlarant has been named a 2018 All Star Award winner by Constant Contact, a leader in small business marketing solutions. The annual award recognizes the most successful 10 percent of Constant Contact’s customers, based on their significant achievements using email marketing to engage their audience and drive results for their organization during the prior year. The Best and Brightest Companies to Work For Award recognizes organizations that are committed to achieving excellence in their human resource practices and enriching the lives of their employees. Organizations are assessed based on categories such as communication, work-life balance, employee education, diversity, recognition, retention and more. They seek to identify and honor companies that show an ongoing commitment to their associates and seek to find unique ideas and best practices that make it a best place to work every day. Qlarant is honored to be recognized as one of the best companies to work for in the nation. Selected as one of the top business in the Baltimore Metropolitan Area by The Baltimore Media Group for the second consecutive year. CIOReview, a technology magazine, has been at the forefront of guiding organizations through the continuously disruptive landscape and providing enterprise solutions to redefine the business goals of enterprises tomorrow. CIOReview offers a ground-breaking platform allowing decision makers to share their insights, which in turn provides both budding and established entrepreneurs with analyses on information technology trends and a better understanding of the environment. The predictive analytics technology ecosystem is filled with countless solutions, which makes selecting the right solution provider a cumbersome process for CIOs. CIOReview’s distinguished panel of CEOs, CIOs, CTOs, industry analysts, and the editorial board of CIOReview has narrowed the final 20 predictive analytics solution providers that exhibit competence in delivering the best-in-class predictive models. 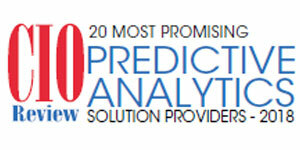 Qlarant is pleased to be included in CIOReview’s top 20 Predictive Analytics Solutions Providers for 2018. AgileCxO announced that Qlarant has been named an AgileCxO Transformation Partner. Qlarant is licensed to deliver assessment, coaching, and consulting services through highly trained and certified individuals, using the Agile Performance Holarchy (APH)®. The APH is an organizational operating system for sustaining agility developed by AgileCxO, a research and development organization dedicated to studying agile leadership and building performance models, training, and organizational certifications for large agile organizations. CIO Applications magazine stands out with a unique approach of learning from industry leaders offering professionals the most comprehensive collection of technology trends. It enables businesses to move a step ahead towards adopting the best in technology and assists them in in providing seamless and convenient solutions for enhanced customer experience. 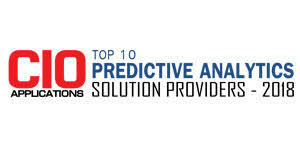 Qlarant is proud to be named a top ten Solutions provider. In 2018, Qlarant won the Gold Award for Best Corporate Identity Video. This International Festival honors the best Commercials, Documentaries, Event Openers, PSA’s, VNR’s and Web-links produced by Corporations, Non-profit Organizations, Government, Military, Educational facilities, Associations and Foundations from around the world. Selected as one of the top business in the Baltimore Metropolitan Area by The Baltimore Media Group.